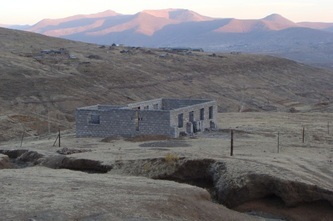 This is the village of Sekoka, Lesotho. It is situated along the Senqu river, which is the source of the Orange river. This church was built by One Heart International Mission and officially opened in November 2010. 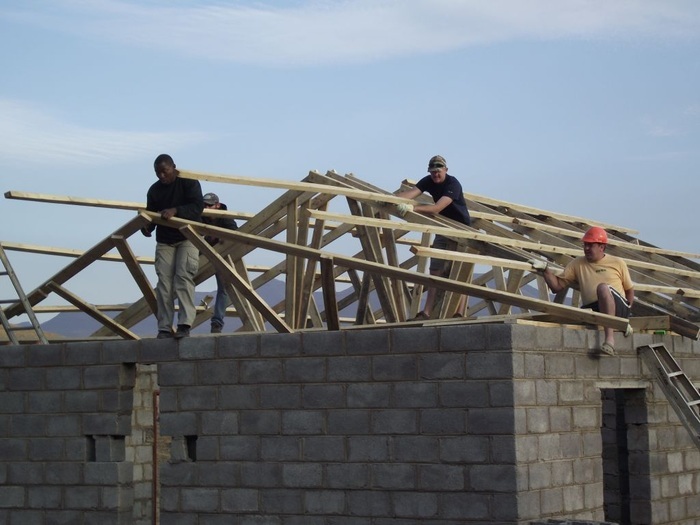 Most of the funding came from Thuisgemeente het Buurtverbond, a Dutch Home Church organization. 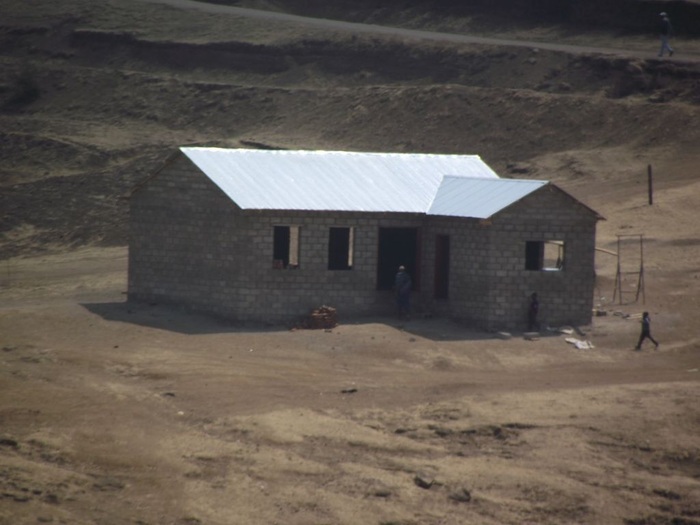 Sekoka is home to about 300 Basotho people. There was no church in this village. People either met in homes or walked about 10kms to the nearest church. Finances to complete the building outhouses etc.